The judicially created exclusionary rule operates to preclude from use at trial evidence obtained in violation of the Fourth Amendment. The purpose of the exclusionary rule is to deter police misconduct. The United States Supreme Court established a good-faith exception to the exclusionary rule, noting that application of the exclusionary rule requires weighing the benefits of the resulting deterrence of police misconduct against the costs incurred by preventing the introduction of otherwise valid evidence. Court also has ruled that circumstances could exist in which these costs could outweigh any slight benefits gained by application of the exclusionary rule. For example, if a law enforcement officer acted in good faith and in an objectively reasonable manner on a search warrant later found to be defective because of a judicial error, excluding the evidence obtained in the search would not operate to deter police misconduct. The Michigan Supreme Court adopted the good-faith exception to the exclusionary rule for Michigan in People v. Goldston, 470 Mich. 523, 682 N.W.2d 479 (2004). An investigatory stop of an automobile, is limited to a brief, nonintrusive detention and requires specific and articulable facts sufficient to give rise to a reasonable suspicion that the person detained has committed or is committing a crime. An arrest requires probable cause to believe that the person detained has committed or is committing a crime. An officer may arrest a defendant without a warrant if a felony or misdemeanor was committed in their presence. An officer may conduct a frisk, a form of limited weapons search, when the officer has reason to believe that the person suspected of a crime is presently armed and dangerous. A violation of a person’s Fourth Amendment rights to be free from unlawful arrest or improper search and seizure will give rise to a Motion to Suppress, Suppression Hearing, and if appropriate, suppression of illegally obtained evidence. 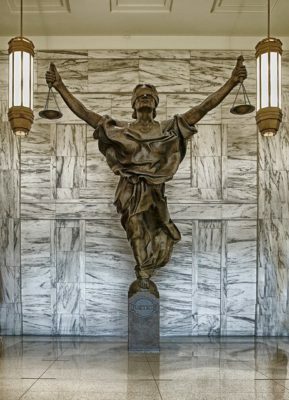 If evidence in a case is suppressed, the result could be dismissal of all charges. 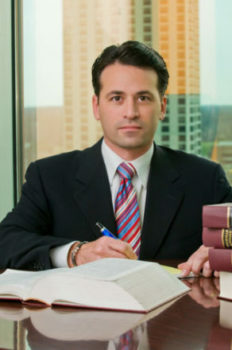 If you have a search and seizure question, do not hesitate to call the Search and Seizure Criminal Defense Attorneys with LEWIS & DICKSTEIN, P.L.L.C. If we have to fight the government to get our client’s justice, we are not afraid to do whatever is necessary to win! Call (248) 263-6800 0 or fill out a Request for Assistance Form and we will contact you. We handle cases in Oakland County, Wayne County, Macomb County, Washtenaw County, Livingston County and throughout Michigan.